Please "Refresh" your page in order to see new picture of assortment. 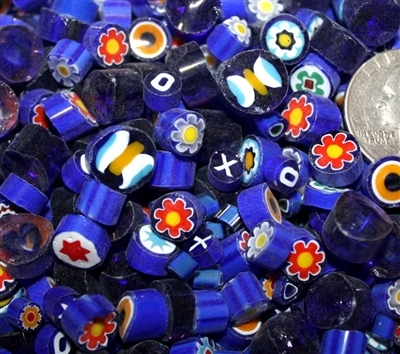 All color packs are blended here at Murano Millefiori using all designs between 4-8mm that we have in that color. Because our stock changes often, the actual mix may vary from photo.